Very Last Chance to View the Stunning Metricon Acreage Display Home! The Denver by Metricon, located in the Jimboomba Woods Acreage Display Village, will be closing its doors at the end of September. Metricon’s award winning home is a unique and expansive ranch-style home that suits a range of acreage allotments. It is an innovative family-friendly home that features a large, sweeping floor plan with zoned living areas to maximise flexible living and provide plenty of space options for every family member. Featuring four bedrooms, two bathrooms, and multiple living areas, the Denver is available in three sizes including the 30, the 33 and the amazing 46. If you are planning on building your dream acreage home, you do not want to miss out on seeing this display! Visit this exceptional home before it shuts its doors on the 1st of October! Brand New Home and Land Centre Open at The Lanes! Our boutique acreage estate located in New Beith is opening a new Home and Land Sales Centre on the 3rd of September! The Lanes is an acreage estate like no other, offering buyers a range of allotments sized from 2000sqm in the latest stage, with full water, underground power and NBN connectivity, from only $286,000. Residents of The Lanes are effortlessly connected to everything with key transport hubs and amenities only minutes away, including the Greenbank Shopping Centre and a range of public and private school options. There is plenty of activity in the estate with buyers of stage 1 now moved into their homes and houses in stage 4 started construction. Stay tuned for the next stage releasing soon and offering lots surrounding the community park! Home and Land packages available from $500,000 – enquire today! Once in a Lifetime Acreage Lifestyle Opportunity at Coomera Waters! Located at the peak of Coomera Waters sits stage 26 – an expansive homestead on 30 acres. QM Properties is offering one lucky buyer a unique once in a lifetime opportunity to own 29.7 acres of beautifully undulating countryside land with a newly renovated colonial home with in ground pool. The land is currently on 2 titles, with plenty of future potential and council approval for 18 large lots averaging 1400sqm. 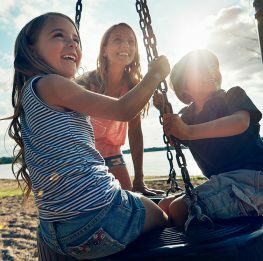 Coomera Waters is relaxed residential living at its best, offering a 17 hectare harbour and 20kms of nature rich walking trails. All lifestyle amenities, including the Marina Village precinct with a tavern, café, IGA, medical centre, and commercial offices, are only a few minutes away. This opportunity will not last long, looking for best offers over $1,975,000. Visit our Master Builders Display Village this Weekend! Make a trip down to the Gold Coast to visit our range of display homes in our Master Builders Display Village at Pacific Cove! The 11 outstanding homes on show from Oracle Homes, Gold Coast Unique Homes, Ultra Living Homes, Visual Diversity, Stroud Homes, G.J. 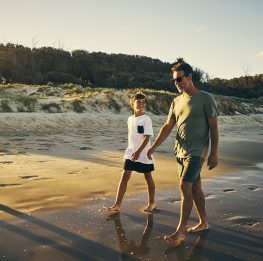 Gardner Homes, Burbank Homes and Coral Homes, make our Pacific Cove Display Village a must-see location for those looking to build in South East Queensland. Since first being released to the market in late 2014, Pacific Cove in Pimpama has established itself as the most prestigious address in the region. As a predominantly owner occupier estate and NBN Ready, even the most discerning buyer, now calls Pacific Cove home. The Display Village located on Sudbury Drive, Pimpama is open from Saturday to Wednesday, 8am to 5pm. Acreage Living from only $230,000! Located in the Mt Mee district, our prestigious acreage estate, Springbrook, lets you live in the atmosphere of forest and mountains. As quality acreage land is becoming increasingly hard to find, buyers are drawn to the huge Springbrook home sites that offer breathtaking views of the Glasshouse Mountains, Moreton Bay and landscaped park reserve. The best allotments yet have just been released in the latest exclusive stage and range from 3000sqm up to 3750sqm, from just $230,000. Brand new home and land packages are also available from $435,000! Located just minutes from the township of Woodford, this estate puts you only a short distance from shopping and education facilities, as well as being less than 30 minutes from Caboolture’s major transport hubs. It also affords buyer’s access to all the beauty of the Sunshine Coast! Enquire today to make your acreage dreams a reality at Springbrook!